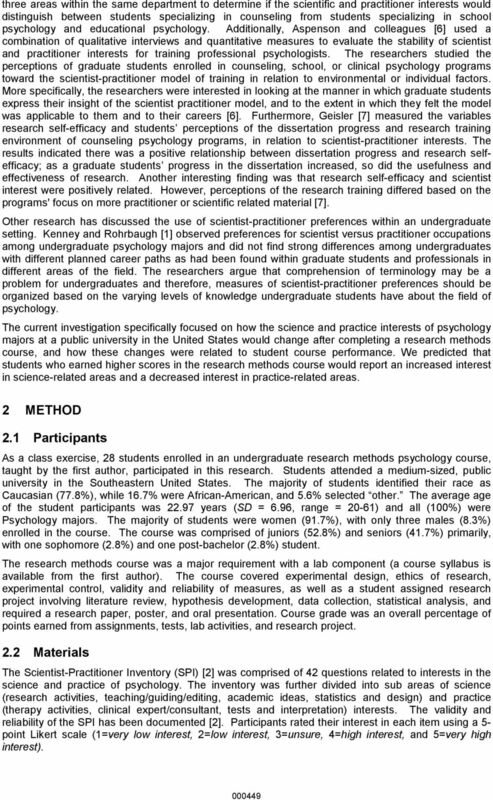 Download "SCIENTIST-PRACTITIONER INTEREST CHANGES AND COURSE PERFORMANCE IN AN UNDERGRADUATE RESEARCH METHODS PSYCHOLOGY COURSE"
Careers in Psychology Prepared by Greta Winograd, PhD Psychology Department, SUNY New Paltz A strong background in psychology is valuable for many types of occupations, and not just in the helping professions. 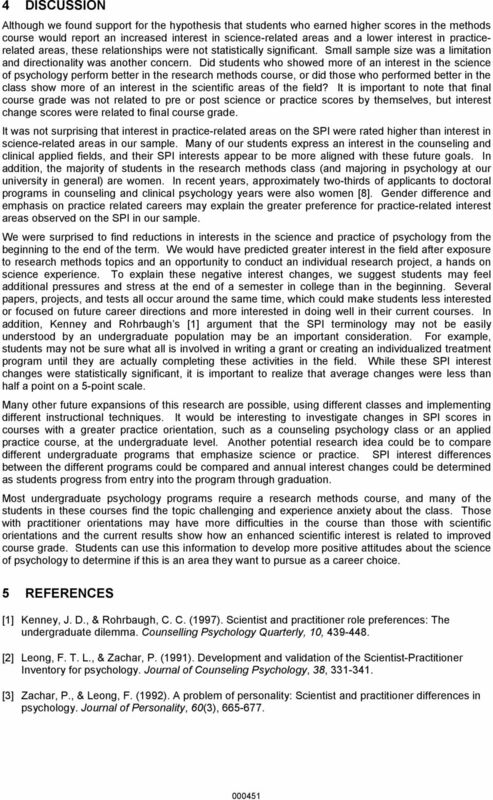 Outcome: Compare and contrast different research methods used by psychologists including their respective advantages and disadvantages. A. 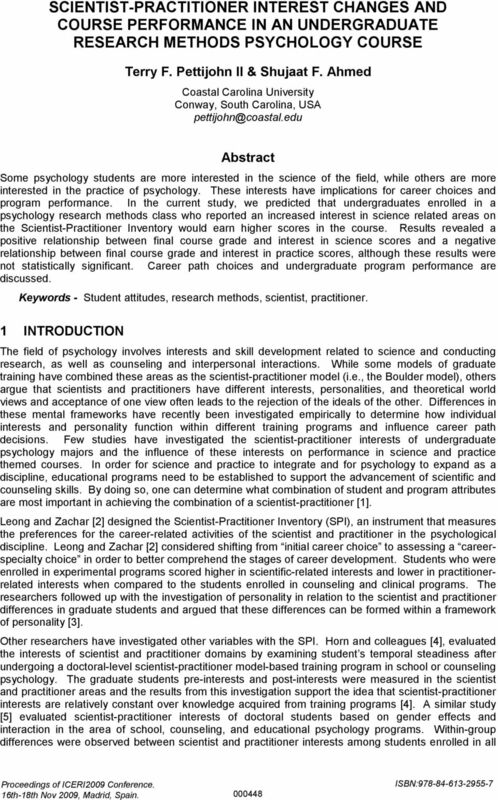 The Science-Practice Relationship in Professional Psychology and the Shift from a Practitioner Scholar to Practitioner Scientist. 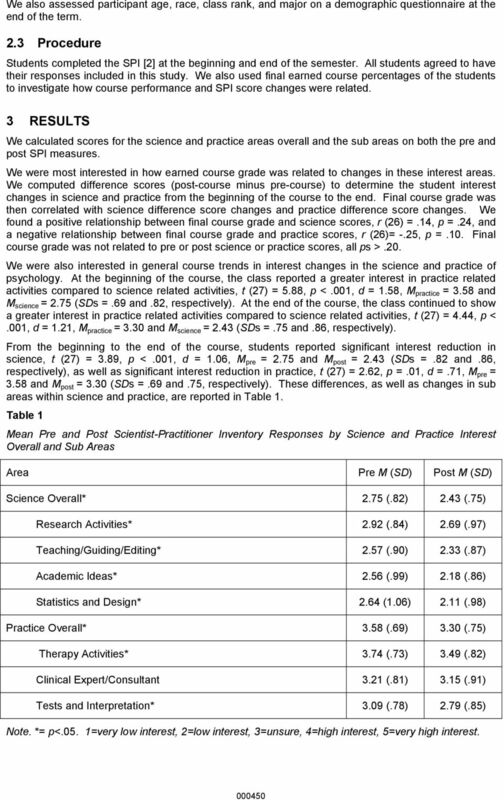 Learning Assurance Report. For the. Bachelor of Science Program. in the. 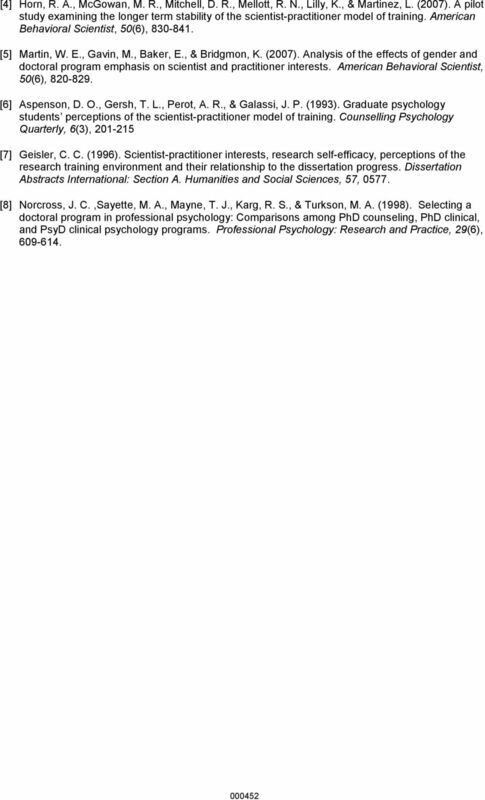 Psychology Department. College of Humanities and Social Sciences. Getting into Graduate School and Life After Presented By: Dr. Karen Pressley Dr. Sheryl Reminger Dr. Michele Miller Overview What criteria do graduate schools use to make decisions? What are personal statements?